The life of an athlete: Is university for me? It seems that the main natural progression from sixth form and A-levels is to head to university. You have completed your primary, secondary and sixth form education; spent hours, months and years revising for and sitting exams and then suddenly your are left with the dilemma as to what to do next. School and sixth form education gives you, as an athlete, the opportunity to still be able to train, be surrounded by your family and closest support system and have your coach and club nearby. Then suddenly, just like sitting your final exam, this is all set to change. Deciding whether or not to go to uni can be a massively daunting, frustrating, worrying and challenging process. At the same time, it can be exciting, eye opening and fun. For me, as an athlete, deciding whether to go to uni was not an easy process. There were moments when I thought it would be just a whole lot easier to stay at home. Then there where times when I thought about going to America. There were also times when I just didn’t know which uni, if any, would be good for me. 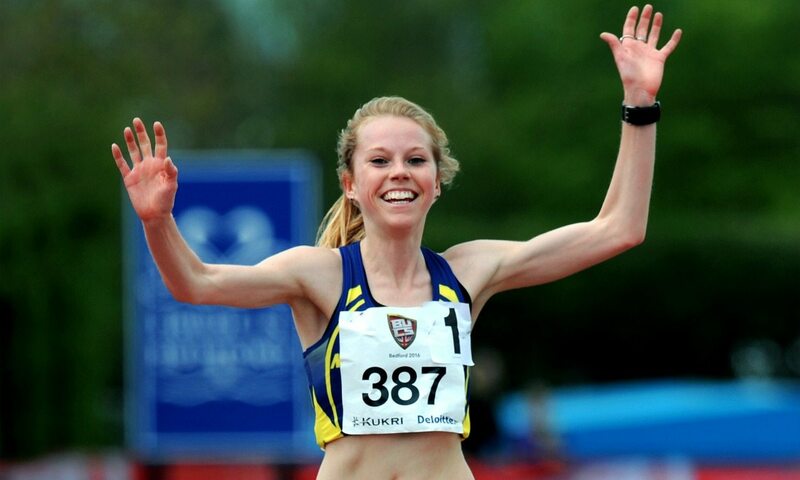 I think the one thing that worried me the most was whether or not I would be able to enjoy university as well as perform well in my athletics and get the most out of my degree – combining training, competing and recovery with socialising and learning. As an athlete I had typically ‘different’ priorities to the standard student who may be embarking upon university. I was worried that I was not cut out for uni, uni living or the uni lifestyle that we are lead to ‘believe’ needs to be played upon as freshers. I thought that if I did not drink copious amounts of alcohol, stay awake until breakfast the next morning or prioritise Wednesday nights for clubbing, then I would be made an outcast before I had even had time to cook my first dinner. I was worried people would think I was ‘strange’ because I turned up to uni with a suitcase full of trainers and not heels, and an agenda that meant I would meet people coming in from a night out as I left for my morning run. I think the question ‘is uni for me?’ is individual to each athlete. I personally never thought (even on the day I left for uni) that I would be coming back to sit my second year. But, I am, and I am actually looking forward to it. I live the student-athlete lifestyle, and although to some people on the outside this may seem a bit strange, I can assure you that once you find the balance, you can get so much out of it. You’ve got a talent. You are an athlete, and there will be people who see you that will be envious of what you have and can achieve (yes, even those who have managed three all-nighters in a row). So don’t think everyone who looks at you thinks you are a nutter. There WILL be other people in the same position as you. There will be other athletes at uni, and other people who have a desire to train hard and work hard. Embrace your sport and get involved in what it has to offer, because that way you will come across like-minded athletes. It is OKAY to be scared, overwhelmed and worried. It is also okay to cry. In fact, I don’t think these emotions are just subjected to athletes – every single individual on campus on the first day will be very apprehensive about what is to come. It is normal. Don’t be afraid to ask for help or support. Whether that be in a physical or mental capacity. Universities have so much to offer in terms of support, but sometimes it takes a bit of digging. Find the physio centre, or the best places for healthy campus food. Look for a bit of mentoring or psychological support. See if you can get help in achieving you goals, whether that be through a free gym membership or additional funding, there are opportunities out there for you. Uni is not for everyone. If you get there and really believe that it is not for you, then there is no shame in walking away. In fact, if you decide not to go in the first place, then that is totally acceptable as well. It is your future that you are investing in, and you MUST do what is right for yourself, and your athletics. Join the athletics club, even if it does cost you your first weekly budget. It is totally worth it and a great way to meet other people who you might be able to train with, as well as granting you access to facilities. It also means that you will be able to compete in BUCS events, which are such good fun (and give an acceptable reason to purchase every piece of uni sports kit!). Keep up your routine and training as much as you can. I know so many athletes who have gone off to uni and packed it all in, claiming that they don’t have enough time to fit everything in. The saying ‘where there is a will, there is a way’ is very true. You will only regret it if you didn’t give it your best shot, even if that does mean 5:45am starts and 9pm finishes. Winning a race will always make them worthwhile! My advice would be, if you are considering it, give uni a go. Go and see what it is all about and make a decision based on a real life experience. Don’t be scared that you wont ‘fit in’ because you don’t want to spend each evening parting or drinking into the morning – people will respect your decisions. Be yourself, and the right people will find their way into your life. Love your athletics and your training. Enjoy competing and take all the opportunities that you get. University can provide you with some world-class facilities and some amazing physio and conditioning support. Get on the track, get in the gym, talk to people and most importantly, don’t pretend to be someone you are not, because two years down the line, living as an act of yourself may become a bit of a tedious task!